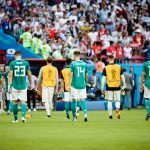 Reigning champion Germany tumbled from second favorite in World Cup betting, at 9/2, to fourth favorite overall, at 15/2, following a shock 1-0 defeat to Mexico in its opening game on Sunday. All is not lost for Joachim Low’s side — let’s not forget, after all, that eight years ago Spain lost its opening game 1-0, against Switzerland, only to be crowned champion a month later. 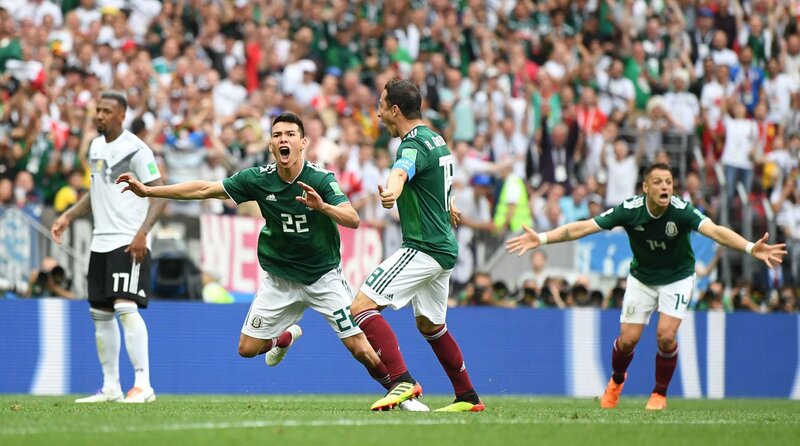 But taking nothing away from the Mexicans, who are a potent attacking force and played with fearlessness and fluidity, Germany need to hit some form if they are to become the first team to retain the World Cup since Brazil in 1962. Some are saying the Germans, apparently invincible four years ago, are simply getting a little bit old. But don’t write them off. They always find a way. The bookies are keeping their faith in Brazil, despite a lackluster performance that saw the team only scramble a point against Switzerland. Because let’s not forget that eight years ago, Spain could only manage a lackluster performance against Switzerland, and guess what it did a month later? The point is that many a champion has started slowly, building momentum and confidence as the tournament progresses. Brazil remains, perhaps, the best team on paper and stays at 4/1 favorite. Spain remains a good bet, too. While “La Furia Rioja” drew 3-3 with Portugal on Sunday, it was a case of “too little luck, too much Ronaldo,” as Spanish sports daily AS put it. Cristiano Ronaldo was on monstrous form, scoring a hat trick in the best game of the tournament so far. But the Spanish team, littered with players from Barcelona and Real Madrid, looked strong — much better, in fact, than it was eight years ago, when it lost 1-0 against Switzerland, only to lift the World Cup just over four weeks later. The Spanish are now third favorites, at 9/2. Argentina, however, has slipped down the pecking order, following a shock draw with Iceland on Saturday and Lionel Messi’s apparent failure to set the game alight. The little genius even missed a penalty. Argentina is now 11/1 to lift the trophy. Around the time of publication, England will be lining up against Tunisia. With a young, attack-minded team that is largely unscarred by past failures and unburdened by the usual unrealistic media expectation, this could be England’s year, and it’s good outsider bet, at 14/1. Belgium, which also played today, against Panama, is a team of superstars that somehow never quite gels together. 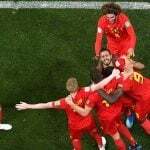 If the Belgians can find some rhythm as a team over the next four weeks, the sky’s the limit, and at 9/1, they’re definitely worth a speculative wager.